How Many Songs Will You Play? What Music Do You Suggest? Will Romantic Marriage Proposals Help Me in My Planning Process? Will Romantic Marriage Proposals Help to Keep My Proposal a Secret? What Will the Musician Wear? Will the Musician Travel to My Proposal Location? I Am Planning to Propose While on Vacation. Am I Responsible for the Musician Once the Proposal Has Ended? 1. How many songs will you play? You are always welcome to arrange to have the musician stay longer if you are planning a special dinner or engagement party as well, but generally speaking once the proposal has taken place, a slow dance/hugs/kisses are exchanged and then calls to family and friends take place which is usually the best time for the musician to exit without interruption. 2. What music do you suggest? If the two of you have a special song together, this would be a perfect selection. Often times choosing your partner's favorite song is also a plus. Since most songs are able to be transcribed for solo violin and other instrumentation, we are happy to do either or suggest songs. 3. Will Romantic Marriage Proposals help me in my planning process? Yes, we are always thrilled to assist in any way we can throughout your planning process! 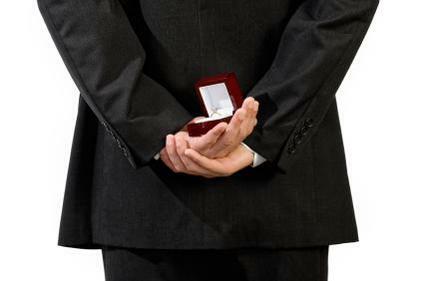 Since marriage proposals is our forte, we often have referrals for other services you might need. 4. Will Romantic Marriage Proposals help to keep my proposal a secret? Absolutely! We are always careful when corresponding with our clients. Great care is taken beforehand as well as keeping any information about your upcoming proposal away from any of our social media outlets. 5. What will the musician wear? Our musicians wear formal wear (long black/black suit or tux) unless specified otherwise. If your proposal is a less formal setting, please let us know so we can dress appropriately.